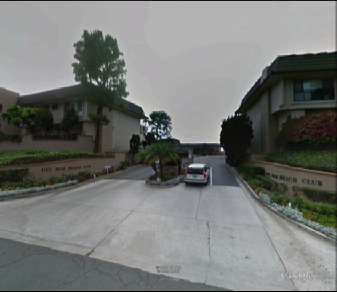 The Del Mar Beach Club is a privately owned, gated residential community located in Solana Beach, California. 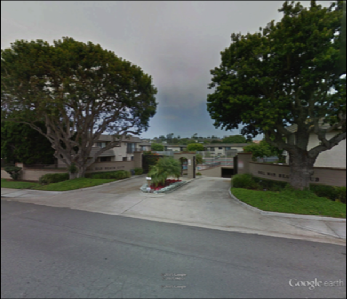 The DMBC has 192 units situated on approximately 3 acres of land next to the Pacific coast. It is approximately 25 miles north of San Diego and 100 miles south of Los Angeles. It can be easily found by getting off Interstate 5 at the Via de la Valle exit, and heading west for about two miles on Via de la Valle. After crossing Highway 101 (Camino Del Mar), the road turns to the right and becomes Sierra Avenue. The entrances to the Del Mar Beach Club are immediately ahead. 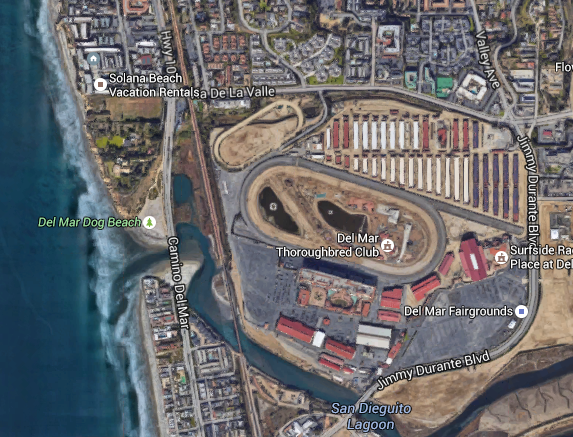 The Del Mar Beach Club has an east and west side separated by Sierra Avenue. Each is separately gated. The units on the east side are two stories, and the grounds are planted with lush vegetation. The parking is underground and two spaces are assigned to each unit. Centrally situated are two tennis courts and a pool area that includes a Jacuzzi, men’s and women’s dressing rooms with saunas, and gas fired barbecues. The units on the west side are one, two and three stories, and some have carports or garages. There is a mix of uncovered ground level and underground parking for those units without carports or garages, and each unit is assigned two spaces. There is also limited, short-term ground level parking for guests. Immediately inside the west gate is a green area and the main pool area. This pool is heated year-round and within the area is a fitness center, men’s and women’s dressing rooms with saunas, and two gas fired barbecues. There are two other pools (the north and south pools) that overlook the Pacific Ocean. In between these pools, is an enclosed view lounge. In addition, there is a view deck on top of the lounge. Most importantly, there is private stairway providing direct access to the beach immediately below.